Many people still don’t understand the importance of a budget or simply don’t want to take the time to create one. Simply put, if you don’t have a budget in place you are limiting your lifestyle. The good news is that it takes only a couple of hours to create and a few minutes each month to maintain. It’s also true that a lot of the same people who don’t have a budget live paycheck to paycheck. This can cause you to make late payments or even miss a bill entirely. Not only will this cost you in avoidable fees, but it can also lower your credit score making it difficult to get an approval for a loan. Luckily, a budget is something you can start now and will help you slowly end this way of life. In the meantime, if you need money now to get caught up and stabilize your bills, sites like westernshamrock.com offer many types of loans even if your credit is less than perfect. Creating a budget allows you to see clearly the amount of money you owe in accumulated debt. Once you see it in black and white, you can then take steps to reduce it. For instance, if you have equity in your home, consider refinancing it or adding extra money to the mortgage payment each month to pay it off faster. Having a budget also makes you aware of where you spend most of your money. For example, if your household utilities, cable and cell phone add up to more than you expected, you can find ways to reduce it and get it under control. With a budget in front of you, you can see how much money you have left over at the end of each month. You can divide the excess into several different places such as allocating a portion into your savings for a down payment on a home or a new car and put some money in a savings account for your vacation and the remainder in an emergency fund for unexpected expenses. A budget gets you into the art of saving money everywhere. As you see the balances on loans and credit cards start to dwindle away you start to feel good. In addition to tracking your spending, you learn to make every dollar count. There are the traditional saving methods like clipping coupons and waiting for sales before venturing out to the store and then there are some new ways to save money on hotels, travel and gas by using rewards cards. If the credit cards or retail store cards in your wallet don’t give you any advantage, you might want to ditch them and acquire new ones. A budget is especially essential to people who are self-employed. When you’re an independent contractor or a freelancer, your monthly income typically varies. In order to maintain good credit, you must put a certain amount into your checking account to cover your expenses. 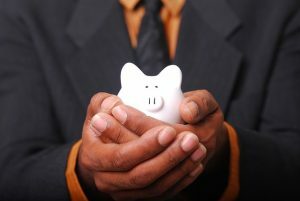 During the best months where you make the most money, put the extra money into a savings account so the funds are available when work is slow. Whether you are a new college graduate venturing out on your own for the first time or part of the 30 something club or even older, budgeting is essential for sustaining a comfortable lifestyle.